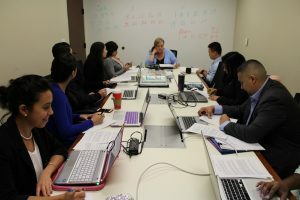 South Texas College of Law Houston’s students hone writing skills through a focused center of excellence: The Legal Research and Writing Program. In law, writing is paramount. Few law schools can compete with STCL Houston’s Legal Research and Writing Program. In fact, our program is a leader in the nation, as evidenced by our unprecedented number of “Best Brief” awards from the American Society of Legal Writers’ Scribes competition, the most prestigious legal-writing competition in the country. No other law school in the country has won more than one first-place “Best Brief” award from Scribes. South Texas College of Law Houston has won five. Our Legal Research and Writing Program develops students along the entire spectrum of writing ability into some of the country’s best legal writers. 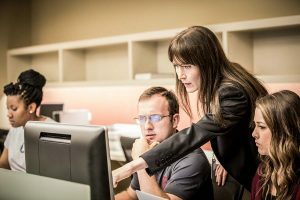 STCL Houston is one of only 21 law schools in the nation to have tenured and tenure-track faculty teaching in this program. Learn more about hiring a graduate of South Texas College of Law Houston.